Should Revenue Cycle Employees Work Remotely? 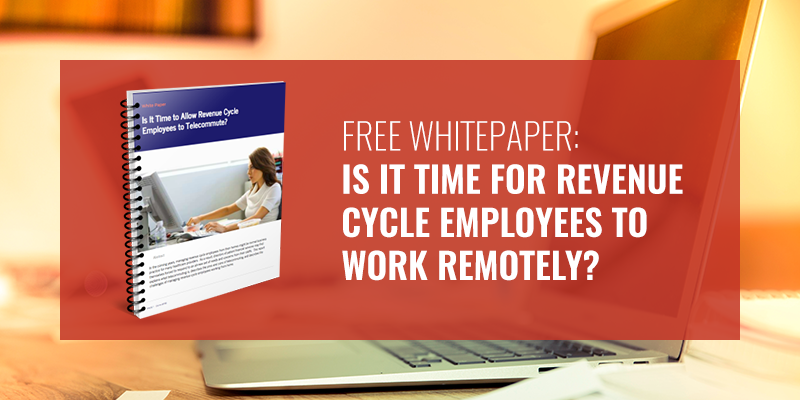 WHITEPAPER: IS IT TIME TO ALLOW REVENUE CYCLE EMPLOYEES TO TELECOMMUTE? In the coming years, managing revenue cycle employees from their homes might be normal business practice for many healthcare providers. If you've resisted the idea of remote work, you may want to reconsider after reading this whitepaper. Download your copy today to learn everything you need to know about telecommuting for revenue cycle employees.